In a world in which technology has shifted from supporting our business, to being our business, one of the greatest challenges a CIO faces, is striking a balance. Optimizing the benefits of innovation, adaptability, and productivity while managing costs, expectations, and perception weighs on every decision. Over the past several years, technology trends have become a major topic of conversation, and mobility, the cloud, big data and digital/social media are always at the forefront. While each of these platforms can influence aspects of a business, when they converge, their impact can transform the way we work generating both a tangible and intangible Return-On-Investment. At its most fundamental level, Document Management Systems (DMS) are how a business stores, manages, accesses and monitors its electronic documents. Enterprise Document Management Systems (EDMS) are designed to impose controls and management capabilities onto otherwise “dumb” documents. Today’s leading Document Management Systems have embraced this convergence, woven themselves seamlessly into the fabric of how a business works, enhancing productivity and operating efficiencies. The overwhelming number of mobile apps and consumer-oriented cloud file sharing services that are inexpensive, easy to use, and accessible on any device, on demand, are fueling expanded Document Management System functionality. 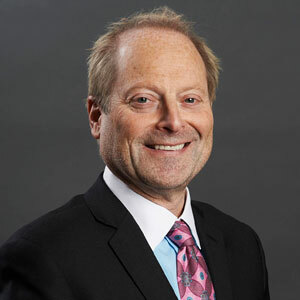 How does today’s CIO strike a balance between integrating these impact technologies with a Document Management System, and addressing the need to be responsive and agile, while ensuring controls are in place to protect valuable corporate assets? During his keynote address at a recent NASDAQ CIO Cyber Security Forum held in New York, Eric Schmidt, the Executive Chairman of Google, stated that the only way to defend and protect against cyber-attacks is to encrypt data that is both at rest and in transit. He added that double authentication is a key component when it comes to protecting data from the human element. Simply put (and with few exceptions), cloud-based Document Management and File Sharing offerings fall short in user security and data encryption when compared to their on-premises counterparts. A major barrier to implementing a cloud-based Document Management System is the limited availability of Single Sign-On (SSO), facilitating password management and audit controls. If a Technology department is able to integrate their on-premises Windows Active Directory (AD) with cloud based Microsoft Azure Active Directory, they can provide employees with a common identity across multiple resources. This infrastructure architecture reduces the inherent risk associated with the human element, while streamlining account maintenance associated with personnel turnover— for an IT department, this is incredibly important given today’s exposure to cyber-attacks. • Does their platform support your corporate security requirements? • Will their platform lockout an account after multiple invalid login attempts? • Is double factor authentication available? • Can their platform detect and authenticate access from a new device? • Are user account audit reports available? • Are they NITS (National Information Technology Standards) or FIPS (Federal Information Processing Standards) 140-2 certified, to meet governmental standards? • Are they HIPAA compliant, if you are dealing with personnel and personal information? • How is data encrypted, both in transit and at rest? • Where are their server and data centers located? • What business continuity plan is in place and when was it last tested? • Can their firm provide a current SOC 1 (SSAE 16) or SOC 2 audit report? The cloud is inherently a rich software delivery model with a wealth of benefits. However, core functionality of cloud alternatives lags behind their on-premises counterpart. Furthermore, consumer-oriented cloud file sharing services such as Dropbox, Citrix FileShare, and Google Docs position themselves as enterprise-class platforms, while lacking the functionality of true enterprise-class solutions. 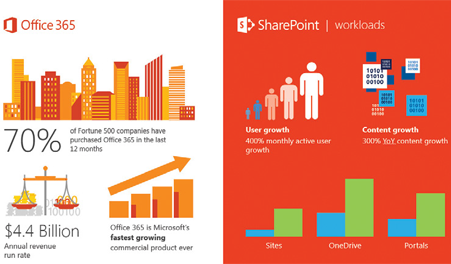 Office 365 and SharePoint on-line collectively have been one of Microsoft’s fastest growing products ever, with high adoption rates. While on-line products have many distinct advantages, including frequent functionality updates, SharePoint on-line’s search capabilities falls short, which could be a hindrance to adoption. By way of example, with SharePoint on-line its search connector framework, advanced content processing and integration with on-premises search indexes are either not available or have limited functionality. To understand the relevance of search, consider Google processes 3.5 billion search queries, worldwide, per day. Furthermore, SharePoint on-premises is a fully extensible Web platform, yet the on-line version lacks the ability to create integration with other applications required to support business requirements and workflow processes. • We live in world where Wi-Fi access isn’t ubiquitous, so will employees be able to access files while off-line? • With email as the largest document storage application, what integration is available with Exchange or cloud-based email platforms? • Beyond basic document types, can they handle large multi-media or imaging files? • Is integration with other cloud platforms (like Microsoft Office and Google Apps) available? • Can you access, edit, and share documents via mobile devices? • Can you search across multiple file repositories by individual keywords? • How flexible are their workflow and task automation capabilities? • To ease implementation and user acceptance, does the system have on-line tutorials and how-to videos? We’re experiencing a paradigm shift in the world of technology, where personal computing drives innovation, and has redefined business expectations. Providing employees with state of the art tools designed to enhance productivity, while being bound by corporate governance will continue to be a daily challenge for CIOs. Striking the balance between these mandates will require a CIO to be visionary, yet grounded in reality. When considering a Document Management System, navigating the convergence of on-premises, public cloud, private cloud and impact technologies will provide transformational results.